From Warsaw to Istanbul on a bicycle – why not? It sounds like a journey into the unknown, but not to discover the new lands, rather myself. But most of all it’s a journey that aims in writing a book. A book with stories of the people from Balkans that I’m going to meet on my way, who are going to host me and who I will spend some of my time with. A book where I will be the ear and the people I will meet on the way will be its authors. I want to talk, to learn, to listen – about the important and unimportant; about the big and little joys. I’m interested in a single person story, especially in the context of the mainstream media narration in Poland, but also in usual associations we have with this region: a war in Bosnia, Serbia or Kosovo, financial crisis in Greece or bunkers in Albania. I’m going to look for the answer to the question: What is the story of the person I have just met? Because I believe that we all have the stories! I’ve been travelling for more than fifteen years already, but until now I’ve been quite conventional in it – every free moment I used to take my backpack, catch bus or train, sometimes a place and I was out to discover the new places. More or less spontanously. This way I have managed to visit over 30 countries and four continents. At the beginning of this year I decided that the short travels of few days or few weeks are actually too short for me. That to really experience a travel I need to have time for it. So I decided that from now on I want travelling and experiencign to be something I will spend most of my time on. In the next three months I have finished the project I’ve been working on, packed all my staff, placed it in the basement, sent books to my parents and at the end of April I left Poland to spend three months in the Middle East – in a travel I’ve been back from in the middle of July. This travel changed a lot. Because – for the very first time – I had much more time for other people. And that’s how I’ve spent most of it – with people that have lived in there but also with fellow travellers, who happened to choose the Middle East as their destination, similarly to me. This Middle Eastern experience has made me realize that people stories are extremely interesting and inspiring and so many bizzare things happen to them that it’s really a shame to leave them like this – only to be narrated but not to be written down. This is why I eventually want to be back in the Middle East – to write down all those (and the new) stories. But before I get there, I’m planning to cross equally interesting part of the world – the Balkans. This time on a bicycle. They say that travel always starts when leaving home and that’s how I want to do it this time – leaving Warsaw, where I used to live for the past four years, heading down south step by step, crossing Poland through Cracow and Katowice, then the Czech Republic to reach and stop for a while in Vienna – which is, in my opinion, a symbolic bridge between Western and Eastern Europe and a symbolic gate to the Balkans. After that the route will take me via Slovenia, Croatia, Bosnia and Hercegovina, Kosovo, Montenegro, Albania, Greece – to eventually finish this part of the travel in Istanbul – another symbolic place – the end of Europe and beginning of Asia. I myself am very curious how eventually this route will look like – everything depends on what will happen on the way – I’m open to any suggestions, recommendations and contacts. Where does the bike idea come from and why actually on a bicycle? I’ve been cycling for over 12 years now and a bicycle has been a natural mean of transportation for me. During those three months between Israel, Palestine and Jordan I really suffered through lack of it. And actually this experience of lack has led me to the idea of fulfiling another life dream of a longlasting bicycle adventure – to make the bike not only a mean of transportation, but kind of portable home. A lot of people are asking me about what kind of bike I’m going to cycle on and how much time it will take me. 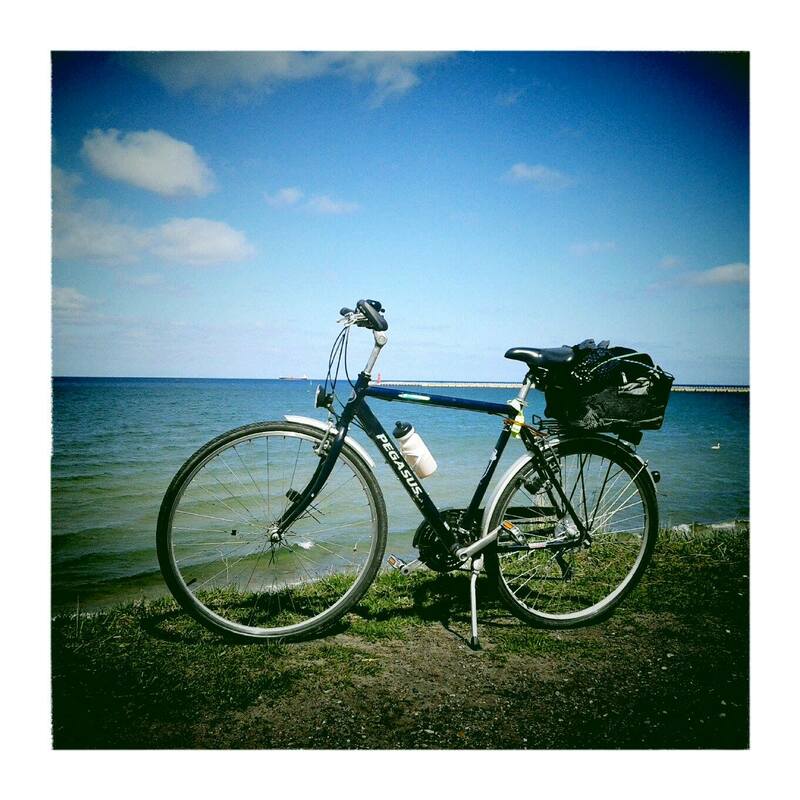 I decided to travel on my dad’s old worn-out bike, on which I’ve already cycled many kilometres. I will spend this month on several necesarry reparations to help the two of us manage to cycle those five thousands kilometres. How much time will it take me? It’s slightly more difficult question, but my guess is that I should reach Istanbul in eight months which is early May 2016. I am aware that it’s quite long time, but I don’t treat this travel as a race. I need time to build the relations with people and listen to their stories, which is why I will keep moving quite slowly and most of the time I will spend with the people. The effect of this travell will be mainly the book I have already mentioned before. The book which will be a collection of stories that I will hear and/or the ones that will happen to me. It’s going to be a bilingual publication, but the blog itself will be written in an English language only – mainly to thank all the people I will meet – for their openess and their time. It’s really important for me that they will have a chance to read their stories. English is also a natural travelling language for me.